Home > Social > What is a Lookalike Audience? With over 2 billion active users on Facebook, countless marketers have identified the social media platform as one of the best marketing avenues in existing. As a business owner, it can be hard to reach the types of customers you need, but fortunately, lookalike marketing has emerged as an efficient way to draw in new audiences. Lookalike audiences allow marketers to target viewers who have previously purchased items from you and those who may be interested in your products. Here are some ways Facebook lookalike audiences can help you with your marketing approach. Video: Millions of hours of video are watched on Facebook each day, making it a prime platform for marketers. When you use the lookalike video audience feature, you can find new potential customers using data from the ones who have already viewed your videos. Conversion: If your company allows visitors to its website to participate in conversion events, you can find an audience like those who participate in these events. This is a great option for companies who offer online discounts. Email List: The feature allows marketers to create new email marketing lists using existing lists. To utilize this feature, marketers will need to construct a custom email list of customers first. Page Likes: If you regularly engage with customers and post to Facebook, you can find similar audiences based on the number of “likes” you receive from your current audience. 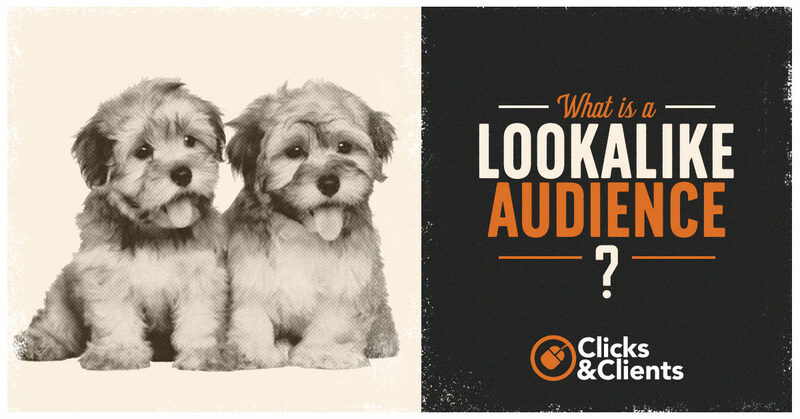 Companies and business owners should choose a lookalike audience that will fit into their overall marketing campaign. How Does the Lookalike Audience Feature Work? The Facebook lookalike audience feature is an advanced targeting tool that allows marketers to extend their reach beyond their normal demographic. It is considered one of the most effective targeting tools, and it works by taking advantage of your source audience data points and a percentage sample of your choosing. This percentage sample will be based in your country of residence, and it will allow you to target another group of potential customers or clients like the ones you already have. Instead of cold marketing to individuals who may or may not be interested in your products or services, Facebook lookalike audience allows you to run a top-of-the-funnel sales campaign with relative ease. In short, if you are looking for a way to expand your customer base, the Facebook lookalike audience feature may be just what you need. Contact Clicks and Clients today to learn more about Facebook marketing.